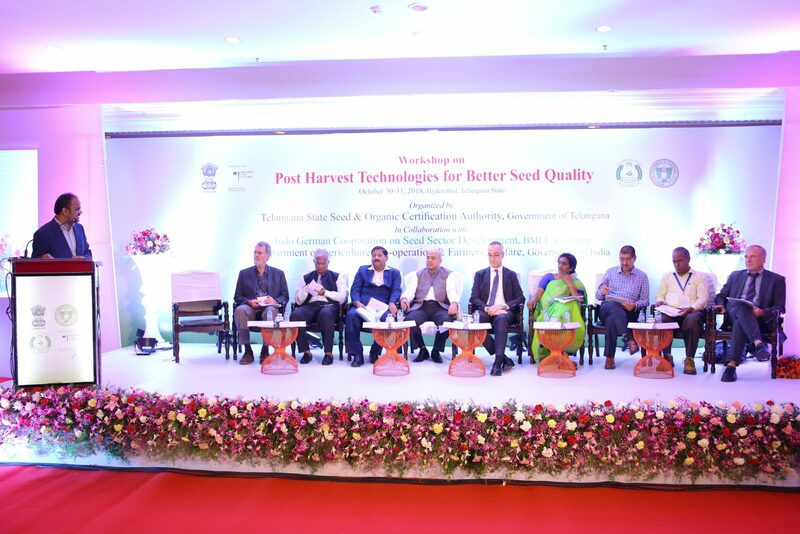 On October 30-31, 2018 the consortium of ADT Project Consulting GmbH and German Plant Breeders’ Association organized with the Telangana State Seed & Organic Certification Agency (TSSOCA) and Department of Agriculture, Cooperation & Farmer Welfare, Government a workshop on “Post-Harvest Technologies for Better Seed Quality” in Hyderabad, India. The workshop was conducted in the frame of the BMEL funded project “Indo-German Cooperation on Seed Sector Development”. 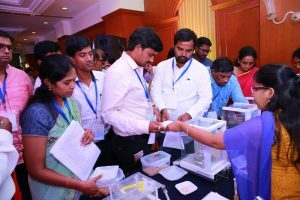 About 160 experts from different public and private organizations of the Indian seed sector participated at the event in the Southern Indian state of Telangana. The participants came from more than 8 states of India. The overall feedback of many participants was: “It was an excellent event, well organized and managed and the various speakers were great”. Beside the presentations and discussions on different topics the group work on seed drying with the drying boxes was very much appreciated by the participants.